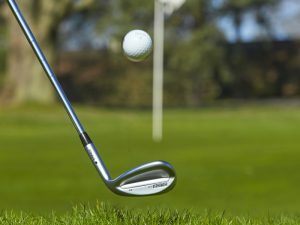 What is bounce angle on wedges? 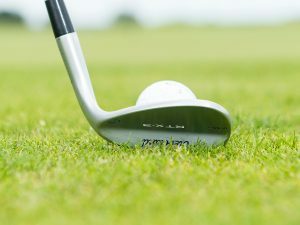 You will often hear golf coaches and equipment fitters refer to bounce in wedges but what is it and how does it help. 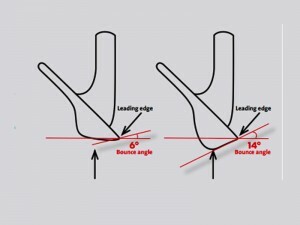 Well, the bounce angle refers to the relationship between the leading edge and the sole of your wedge. 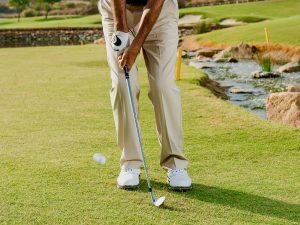 If you hold your wedge out in front of you so the shaft is perpendicular to the ground you will notice that the back of the sole sits lower to the ground than the leading edge. 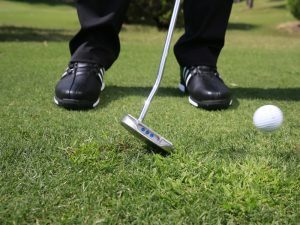 If you drew a horizontal line through the leading edge of the wedge and then another line along the angle of the sole, the difference between these two is your bounce angle. 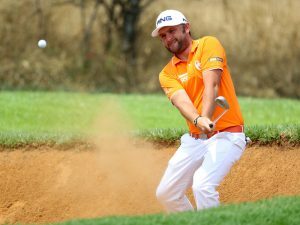 Bounce is your friend. 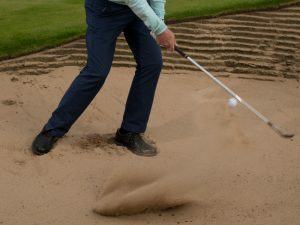 In the bunker, it ensures that when you strike the sand before the ball, the club is able to keep moving without digging and causing a duff shot. 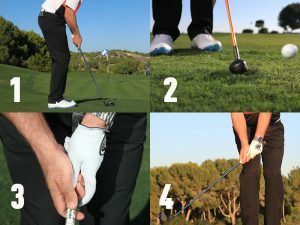 Equally, when you chip from fluffy lies, the bounce of the club comes into contact with the ground through impact and ensures it continues to accelerate. 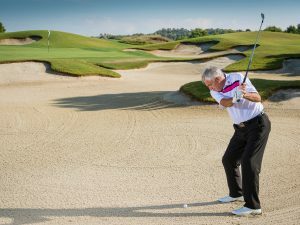 How much bounce do you need? 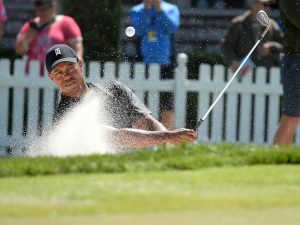 This is the most important question of all here and ultimately it revolves aropund two things – your technique and the type of golf courses you play most regularly. 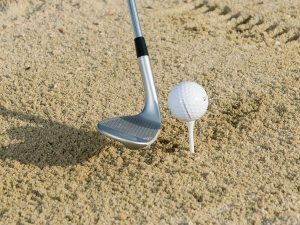 If you play soft, inland tracks more bounce would be preferable. 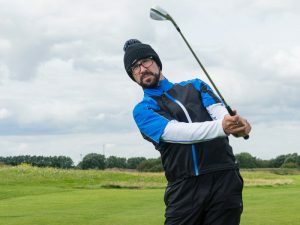 Alternatively, if you play firm links courses you might require less bounce so the leading edge of your wedge is able to nip in closely behind the ball. 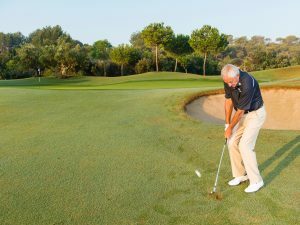 Of course, you can manipulate the bounce by move your hands ahead or behind the ball. This also changes the loft on offer. 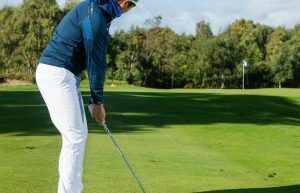 A general rule would be that you would require less bounce when pitching with a gap or pitching wedge than when playing short game shots with a sand or lob wedge. 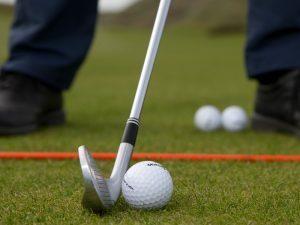 However, your selection should really be based on how you deliver the club to the ball and that’s why it’s always preferable to seek the advice of a PGA professional.